Disclaimer, this is not the election results, but it’s just as exciting. 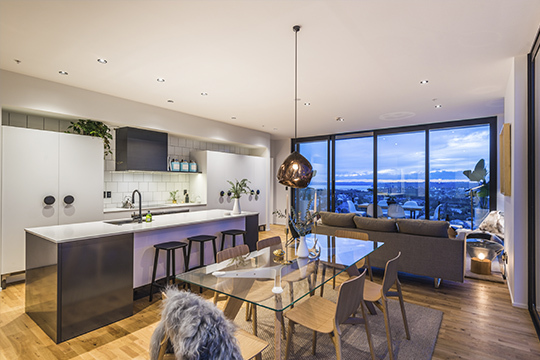 Aucklanders have been voting on the future of their homes, and the results are in. In the past the Auckland home has been synonymous with the villa, the bungalow and the quarter-acre dream. 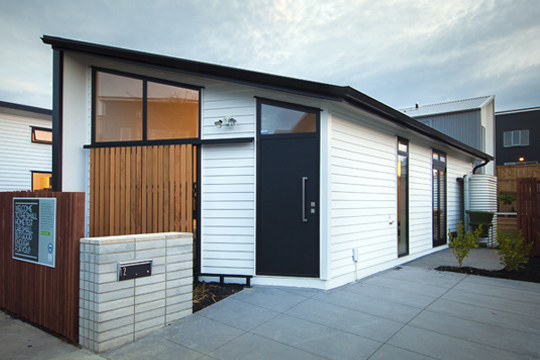 Today, what we picture as a typical Auckland home is changing. The Auckland Design Manual recently held an exhibition exploring the future of housing in our city. We asked you, the public, to tell us which of our ‘future housing’ exemplars you would choose as your home for the future. The votes have been counted and the results were clear, Aucklander’s housing preferences are changing. Small, but Smart Design (with a bit of green space). At 40m2 the Axis Small Home (Isthmus and Architecture Workshop) is tiny, but it’s also affordable, sustainable and can fit into an existing backyard. Our tiny home exemplar, topped voter’s lists, proving that bigger isn’t better – if you design it right. Affordability weighed heavily on voters’ minds, but price wasn’t the bottom line. Good design was a strong selling point for this home, and for voters that didn’t mean grand architectural statements or expensive materials, it meant efficient use of space with a simple, but elegant design. While Aucklanders are ready to move on from the quarter acre section, they still want a backyard. Having just enough space to grow a few veges, have a BBQ, and enjoy some sun satisfied many voter’s outdoor needs. Smaller homes weren’t just preferred by the singles amongst us. Voters with families also showed a trend of voting for compact, affordable homes, so long as they had some green space for the kids and pets. Scarcity can breed innovation, why spread the city out when there is so much room to go up? 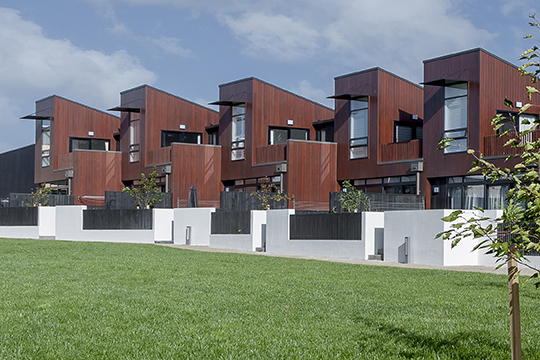 Skybox (Melling Architects) takes a novel and innovative approach to providing housing. It clambers up and over existing heritage buildings, finding space and light above the city. While some voters felt most comfortable with their feet on the ground, others set their sights on the heavens above. Our second most popular exemplar is unique, and that’s what attracted voters. Its clever design looks to build up, rather than out, in an innovative and unorthodox way. Clever use of space and good potential locations with easy access to local shops and public transportation also helped to win voters over. 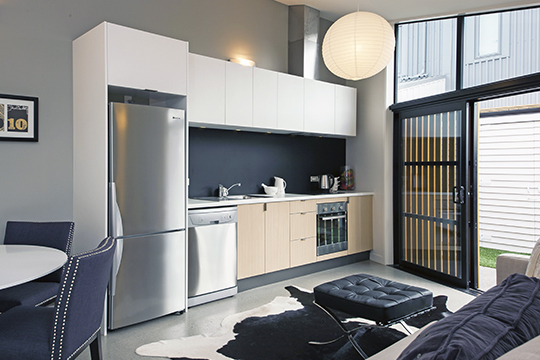 Just because you live in an apartment, doesn’t mean you have to be cramped for space. The only difference between a spacious home and an apartment in the Dylan (Urban Collective) is that you’ll have clouds rather than grass for a backyard. Third on our voter’s list was our big home in the sky, indicating that more and more Aucklanders are ready to consider trading their home in for an apartment, especially if it’s large. For voters this development represented the best of both worlds, plenty of space, but with the convenience of living next door to work, shops, cafes and entertainment. It’s not cheap, but for those with a home to trade in, the change to large apartment living offered many benefits that wouldn’t break the bank. Tell us your thoughts, what do you think of our top 3 homes and what housing issues are important to you? 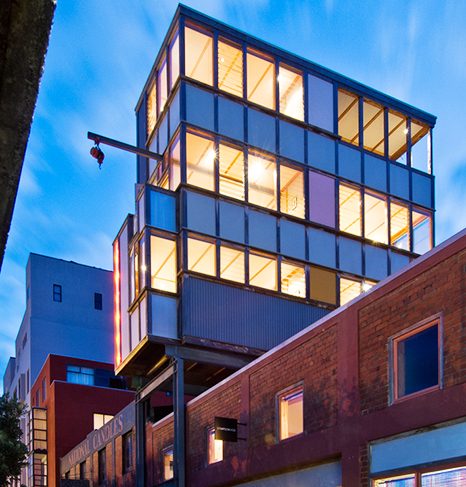 ← OPENING TONIGHT – A new heart and hub for central Aucklanders.